I have worked as a journalist for the last 30 years. 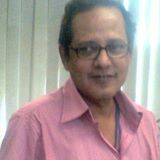 My employers include the leading English newspapers of Bangladesh, the Women’s Feature Service (WFS), New Delhi, India and Asia Money, Hong Kong. I have also worked as a Media Fellow of the UN. I was also made a Fellow of the British Council Scholars’ Association.